This film is not good enough... and not smart enough... and that's... okay. Wait, no it's not. Stuart Saves His Family was just another nail in the coffin for Saturday Night Live's Hollywood aspirations. Following the disappointing box office returns of Coneheads (1993) and the dismal returns on It's Pat (1994), Stuart's meager $912,000 total box office take put a three-year halt on SNL movie adaptations. Unfortunately it did not stop the inevitable release (some might say "escape") of future Walgreen's discount bin DVDs A Night at the Roxbury, Superstar, and The Ladies Man. Still, I'd heard that the movie was worth checking out, and with a box office take that small, I was fairly certain that very few of you babies would have actually seen it—a perfect candidate for "The Overlook." Either I would turn you all on to an undiscovered gem, or I'd save you 95 minutes that you could use for deciding which things to accept... and which to change... letting go of serenity and letting God... and cultivating an attitude of... catitude? I'm really not sure how these things work. 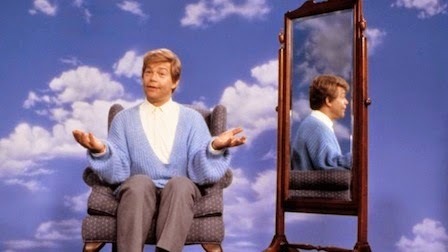 Stuart Smalley and his one-joke SNL sketch would seem a strange choice for feature film enlargement. 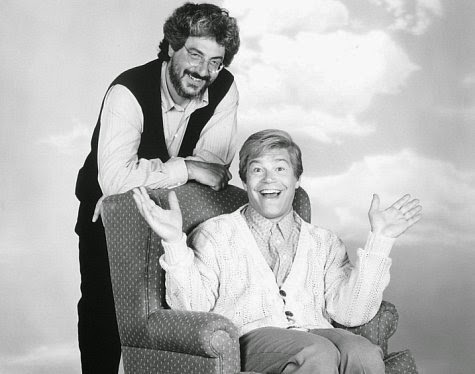 As played by Al Franken, Stuart is certainly an annoying and exaggerated character, better suited to the small screen in five-minute, weekly doses. But as Stuart Saves His Family goes along, we actually start to get used to him. It might be that Senator Franken's genuinely nuanced portrayal of Stuart seems to get better and better as we witness the sub-sitcom performances of almost everyone in the supporting cast. Actually, there are two decent supporting performances: Vincent D'Onofrio and Laura San Giacomo struggle valiantly with their underwritten parts. The rest of the supporting cast is adrift in a sea of mismatched tones and wild exaggeration. D'Onofrio manages to invest kid brother Donnie with some humanity, humor, and charm. San Giacomo delivers a terrific monologue about finally meeting her real father that should have provided a clue to the filmmakers about the direction and tone that the rest of this film should have taken. Except for some outstanding views of Chicago, which almost always looks terrific on film, the entire production is bogged down in a flat, flimsy television look. The lighting, costumes, sets, and supporting performances all seem done on the cheap. In fact, when Stuart takes his television show to a rival cable station, the production values of his new show are demonstrably better than the production values of the movie that contains it. BEST LINE IN THE FILM THAT COMES OUT OF NOWHERE: "That was NOT a quality ham." Stuart's pedigree would suggest a better film: written by and starring future U.S. Senator Al Franken and directed by Harold Ramis, those two names alone would suggest a home run. What we get instead is, at best, a sacrifice fly to left field, as the film's focus and tone fight against its subject matter. Here's the thing, babies: comedy filmmakers need to make a decision at the beginning of production about tone and subject matter. 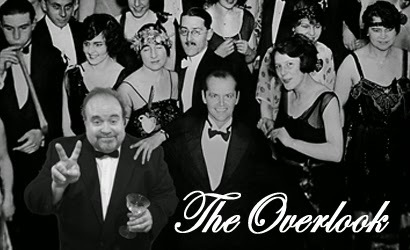 No matter how talented a filmmaker one may be, unless your last name is Kubrick it is almost impossible to mix "alcoholism" with "cuddly," "dying" with "clownishness," or "property easement" with "comedy." Lesser talent, take a lesson: pick either the former or the latter. You cannot have both. Although Gene Siskel and Robert Ebert were two prominent admirers of the film, the critical consensus was that Stuart Saves His Family was a movie comedy that just couldn't decide on what it was and what it wanted to be. THE CRITICS RAVE: Janet Maslin wrote in The New York Times, "Since Mr. Franken [...] really knows his 12-step jargon, this set-up has lively possibilities. But the plotting is surprisingly banal [...] the relatives' problems are taken semi-seriously, which is more than this lightweight film can handle." The San Francisco Chronicle's Mick Lasalle pinpointed the film's chief problem: [Stuart] exists in a peculiar limbo. It's a comedy that isn't funny, and a drama that can't be taken seriously." Entertainment Weekly's Owen Gleiberman observed, "The real problem may be that writer-star Al Franken ends up taking gentle pokes at habitual 12-steppers without really skewering their main mantra: that it's the spiritual apex of life to be 'okay.'" Said Hal Hinson of the Washington Post, "Ramis can't keep the movie's tone under control... it teeters precariously between farce and wake." We cannot give any movie a free pass on good intentions alone. Although it strives to be much, much more than a run-of-the-mill SNL cash-in, one can never really expect a comedy to be successful when a reviewer uses the word "wake" to describe its tone. This movie is far from... okay... it is never good enough or smart enough, babies. If I recommended it, I'd only have to make... amends... with you later. But I have to learn to listen and listen to learn... and avoid this kind of stinkin' thinkin'. 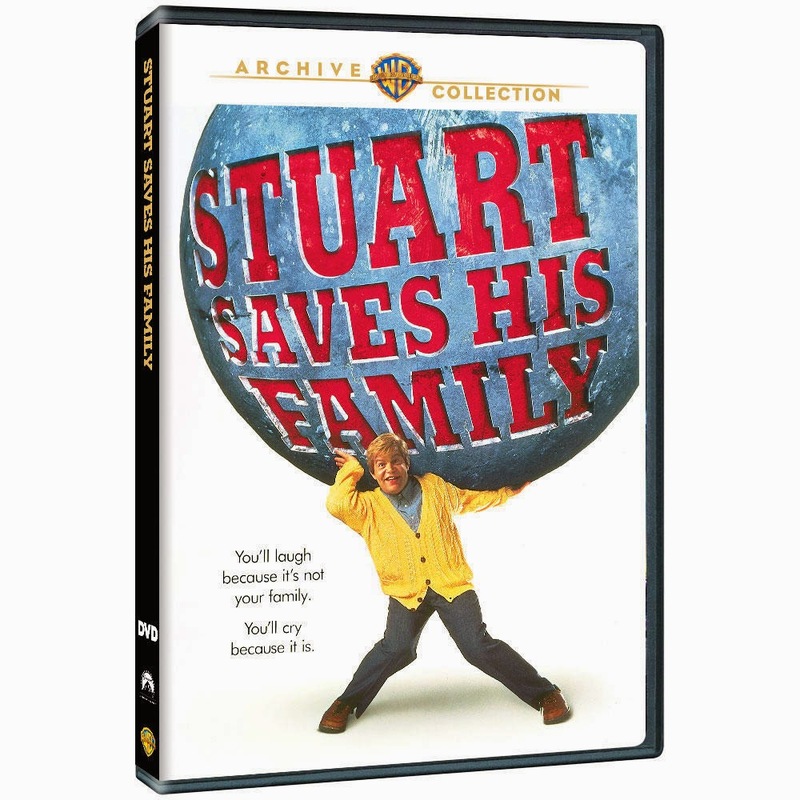 If you really want to check it out, Stuart Saves His Family is available as a Warner Archive MOD DVD. Thank you for the insightful column, JB. I think Ramis and Franken both have an underlying sincerity that works well when showing a character's vulnerability. It's unfortunate if that didn't come through here, or was mired in other issues. (I have not seen the movie, but I'll trust your perspective.) At least it gave us the future junior senator from Minnesota. I'm not going to claim this is any kind of classic, but I have a deep affection for this movie (and especially for D'Onofrio's performance). Agree. I only saw this once on premium cable in the 1990's and D'Onofrio was the only character/performance that held my attention. It's only a $3 rental on Amazon Video too, so it might be worth a revisit. I also agree. D'onofrio was really good in his oddly toned alcoholism subplot. Wow, this is one strange movie. Great article JB. I think what is most amazing about this film is that it is the next thing Harold Ramis did after Groundhog Day. Yikes. Yeah, this rings pretty true to my experience as well. I remember renting it back in the 90s and feeling incredibly confused by its tonal shifts, especially when the trailer is selling a 'Zany SNL Comedy' bill of goods. With that in mind, I can't help but wonder what other SNL movies would look like with a hard dramatic turn; The Ladies Man suddenly becomes Shame, or Roxbury becomes the second half of Saturday Night Fever. JB, we heard your favorite movies ever back around the 100th podcast. I would be interested in hearing a podcast about your 5 favorite movies of the last 30 years. Have you guys ever thought of doing that? I haven't listened to it in awhile but I believe the newest one you had was from the 70s.